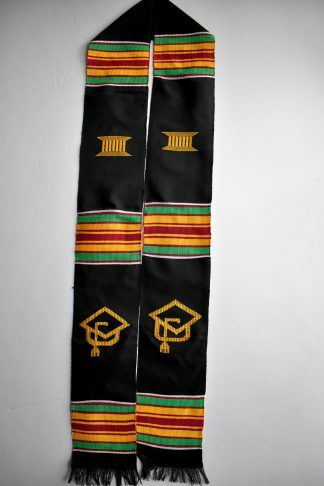 All our Graduation Kente Stoles are made by hand in Columbus, Ohio by the Master Kente Weaver on a horizontal loom. Quality products at the best price! 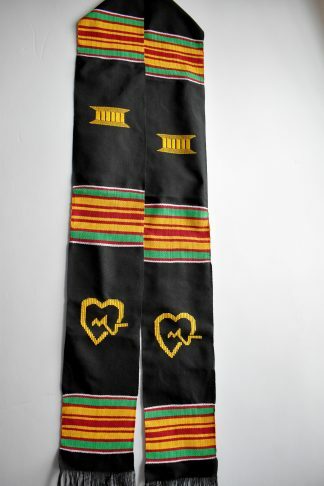 Kente is a Cloth Woven by the Asantes in Ghana, W/Africa. 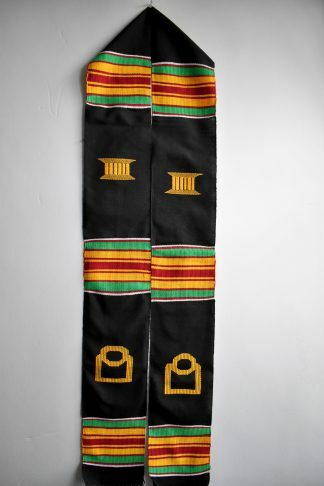 The Asante Kente is Woven in the outskirts of Kumasi in the area of Bonwire (Bon Wee Reh) Sakora Wonoo, Ahodwo and Ntonso. 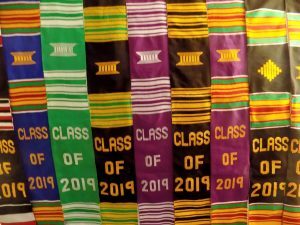 Today, Kente Weavers are all over the cities in Ghana especially Accra and Kumasi as well as here in the United States (Columbus, Ohio). 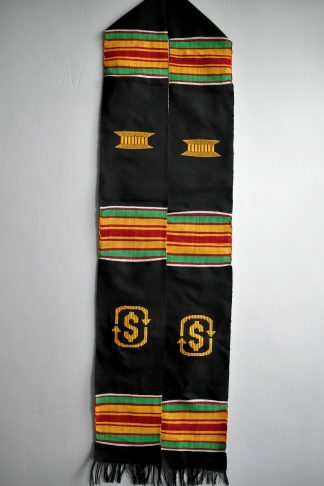 AsanteMan Kente Works is well known for its high quality Kente products. 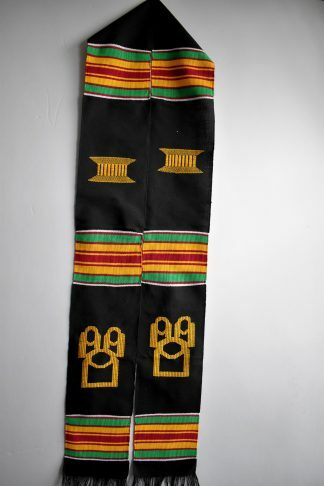 Each Kente cloth is hand-woven on a horizontal treadle loom by the Master Weaver in Columbus, Ohio USA. The Master Weaver uses high quality imported yarn (rayon, cotton and metallic nylon weaving thread) for brilliant colors, different patterns of traditional and modern Kente designs.